Home > Halloween, Celebration Florida Style! There is nothing like Trick or Treating until you have come to Celebration Florida to Trick or Treat! Houses are transformed into Pirate Ships sailing on the seas with skeletons dangling from trees everywhere! Blowups around every corner, homes with spiders as big as the home it’s self! One home in North Village has so many decorations it takes three yards to display them all, with remote controlled clowns leaping out of the lawn at you, A creepy little scary girl swinging from the tree with her eyes all a glow! There are people here by the thousands on this scariest of nights, so join the guy in the photo and be safe tonight! 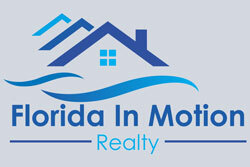 Have fun everyone, and from all of us at Florida In Motion Realty HAPPY HALLOWEEN!